Thrifting around these parts is so slow during this time of year, so I haven’t done much thrifting. I think it will start picking up a little this month. However, I did find a few vintage games in December that I can not wait to do something with. My siblings and I played a lot of games growing up. 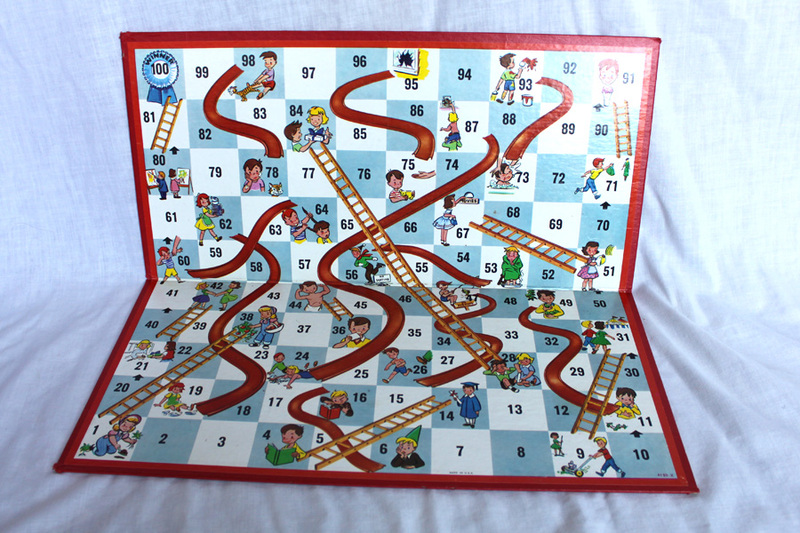 One of them was Chutes and Ladders. It was this board. I love the pictures of the kids. I only found the board so I think I am going to try using it for a blank notebook or journal. The board will make a great cover, especially the top where the 100 ribbon is. 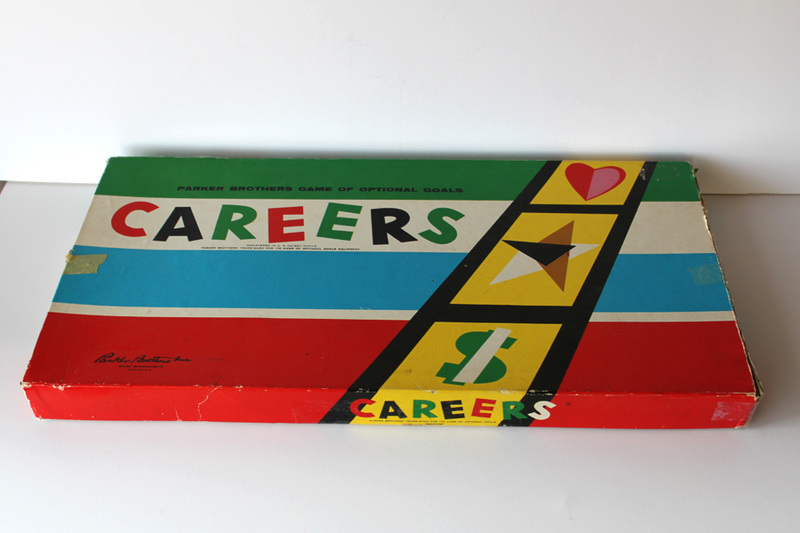 I have never played Careers before, but I loved the vibrant colors of the box. Some cool cards inside the box. I never played the Stock Market Game either, but again the certificates inside are cool. 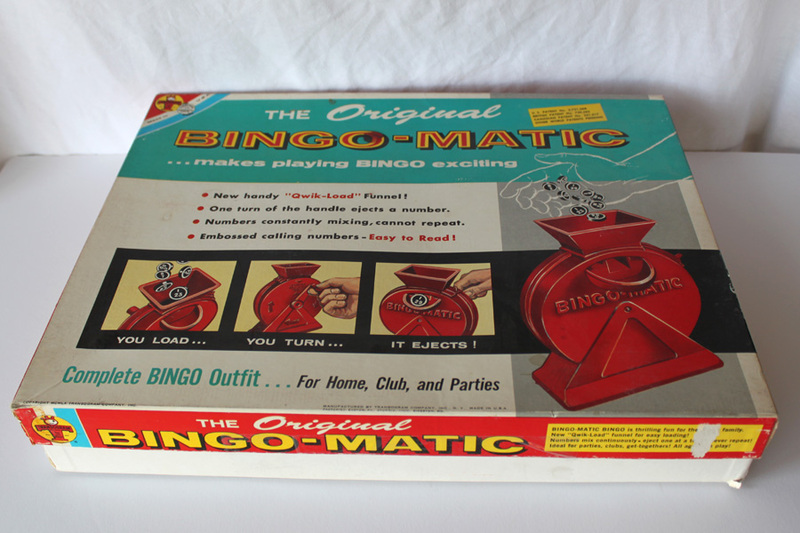 Finally I found this Bingo-Matic box with everything in it. I have rarely played Bingo, probably because I am not lucky when it comes to drawings, so I never win. So do you have a favorite game from your childhood that you would like to find again? Oh my did you bring back memories! 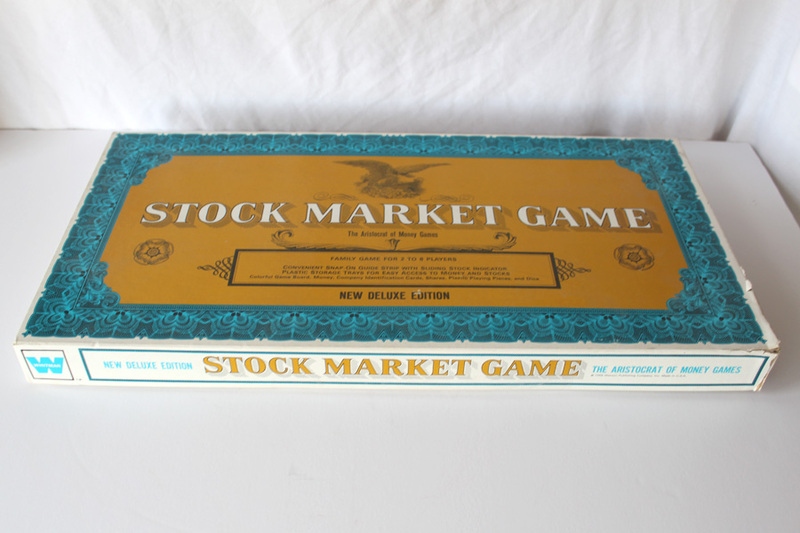 I remember playing Careers and Stock Market Game as well. Other old ones I remember…Kimbo, the original Monopoly and a little newer games…Watergate(go figure!) and I think I’ve had almost every version of Scrabble around. Thanks for the memories. I am not familiar with Watergate game, I think that would be fun to find. Glad it brought back memories. Oh and I buy most scrabble games I find too.